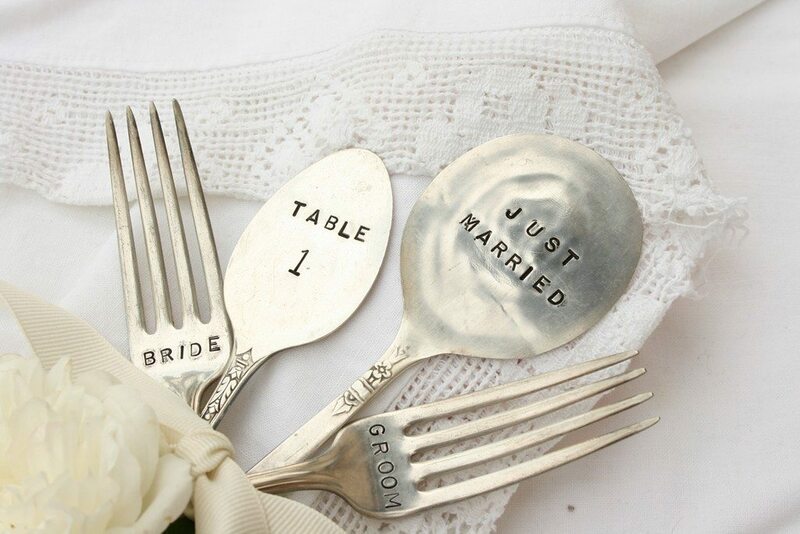 Spied over at Blue Orchid Designs, these handstamped wedding cake forks and serving pieces made from vintage flatware by Beach House Living are too sweet not to share. 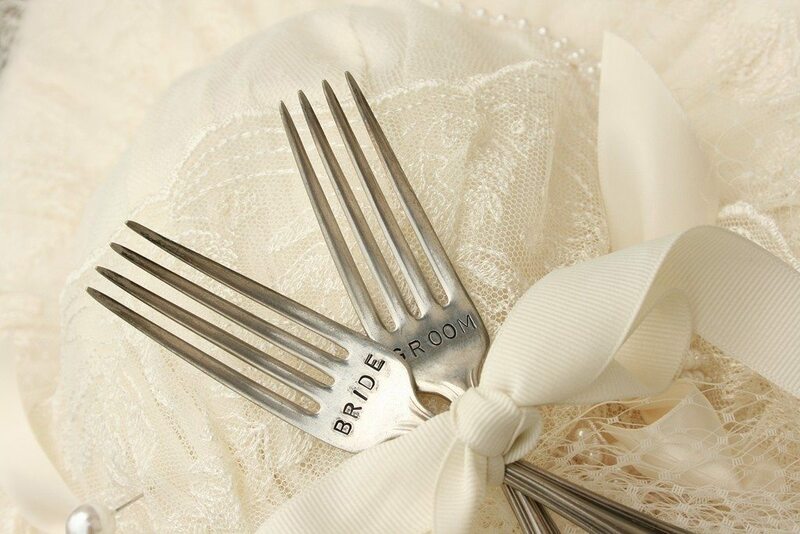 One of our favorite wedding gifts was actually a bridal shower gift from my husband’s aunt – a cake knife and serving set from Cutco with our names and wedding date engraved on the blade. Likewise, these could make great gifts or a charming cake topper set atop your cake. Customization is available and the prices are incredibly affordable. I’m thinking they could also make great favors at a tea party bridal shower, too. 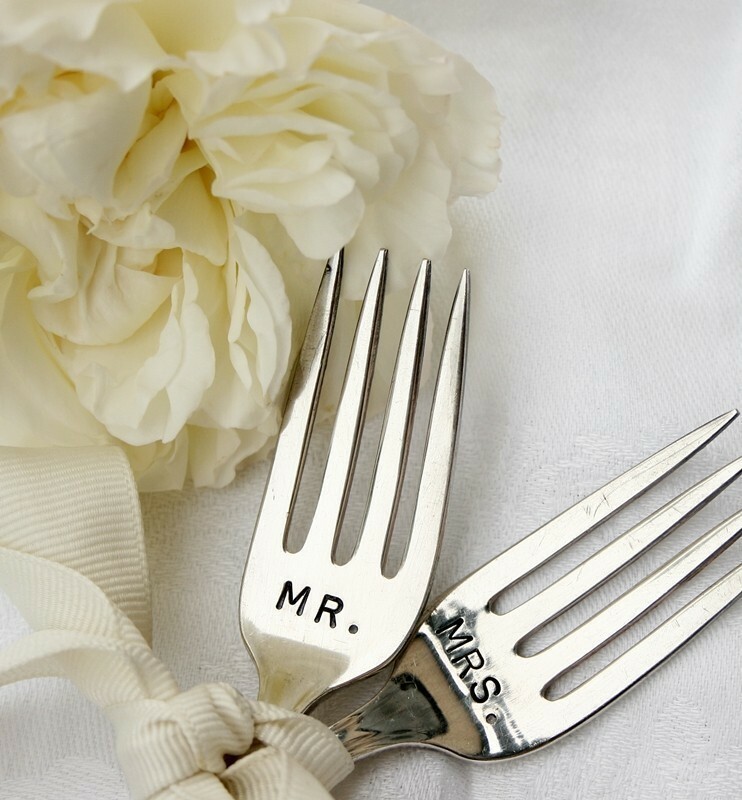 Or, for the culinary-minded couple, stamped with a date they could make great save the dates – include a sweet tag with other pertinent details such as your website attached simply with pretty ribbon. Aren’t they just adorable?